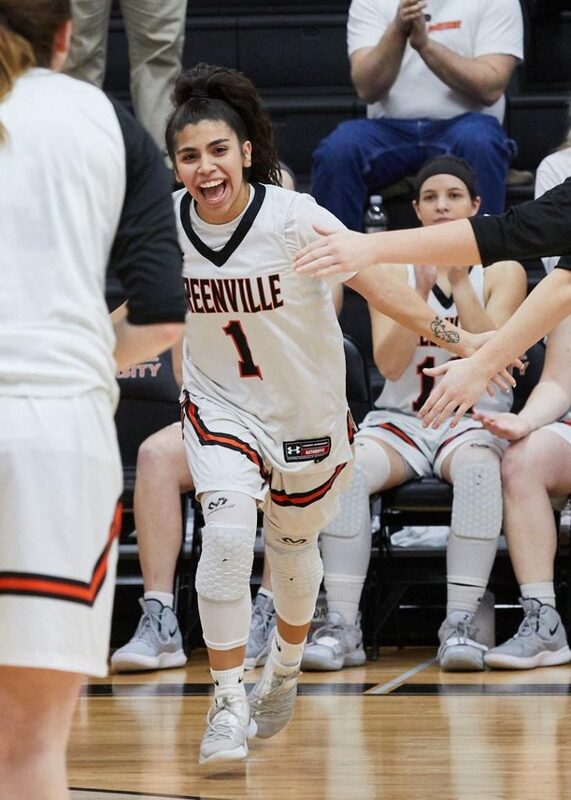 Greenville University is home to students all across the globe, including places such as Spain, Brazil, Puerto Rico, and even California and Arizona. One student-athlete here at GU made the decision three years ago to come all the way from the valley of the sun to a place that can be rainy, icy, and sunny all in one day. Brittany Lopez is junior Sports Management major from Phoenix, Arizona in which she graduated from Copper Canyon High School back in 2016. She made the decision to come to the Midwest to continue her academic and athletic career as a Panther. Since entering as a freshman, Lopez wasted no time creating the perfect college experience for herself. 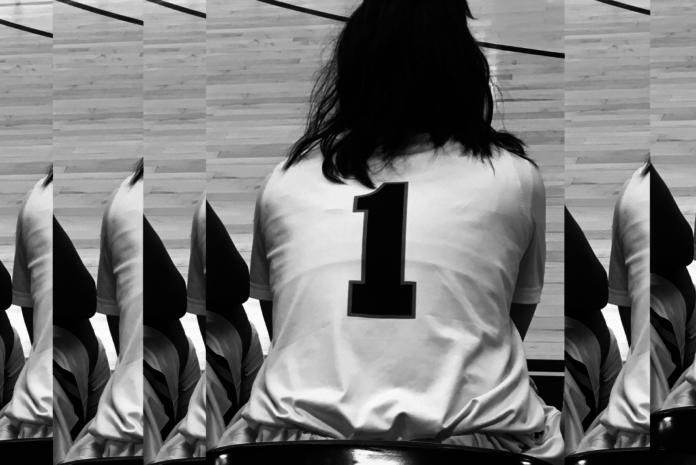 #1 running out for starting lineups! The hardest piece about the college experience for Lopez was trying to learn and figure out how to adapt to new people, new surroundings, and a new culture. Coming from one of the biggest cities in the country to a small town like Greenville can be quite a shock for anybody. She overcame this struggle and challenge by seeking out campus opportunities. She made herself apart of the campus culture and kept herself busy by serving other GU students. Brittany does a little bit of everything around campus in which she holds many different leadership positions. She is a part of Student Success as an academic coach and tutor. She is a part of the Mosiac Scholars program which strives to promote diversity and inclusion on campus. She is a GSGA member (Greenville Student Government Association) and she is the Vice President of Intercultural Affairs. Her job consists of empowering diversity in students along with embracing students of all kinds through events and conversation. She also plays a role in the Student Athletic Advisory Committee (SAAC) as she represents the Women’s basketball team. Lopez in action druring the first round of the NCAA. Brittany is a 3-year member of the Greenville Women’s basketball team in which she helped the team to a 23-5 overall record this year along with a conference record of 15-1. This year’s team successfully clinched the right to host the conference tournament and the Panthers took advantage of the opportunity and decided to go out and win the whole thing. The unselfish team play contributed a lot to the team’s success. 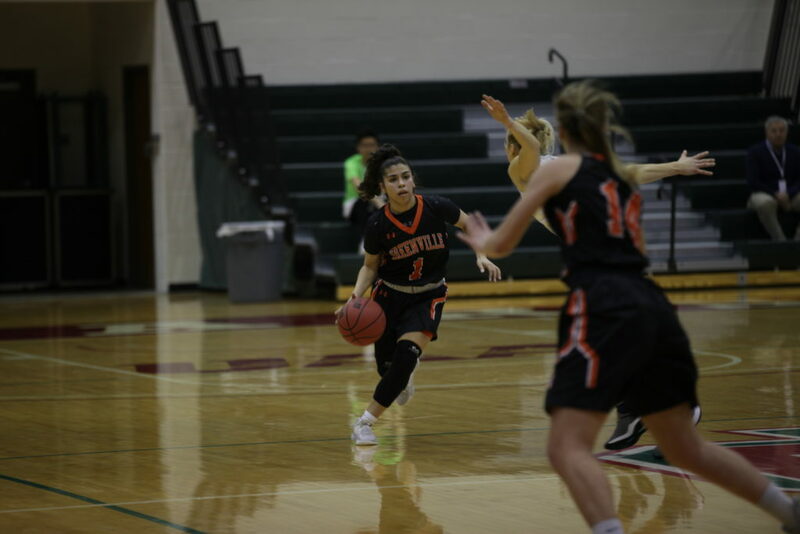 Lopez, who averaged 3.4 assists per game, along with teammates Lauren Eagleson (2.9) and Jantzen Michael (2.6) found themselves ranked #6 in the country for assists per game (18.8) before entering into the NCAA tournament. The Panthers suffered a first-round defeat to number 11 George Fox and was sent home early just before the start of spring break. Lopez is looking forward to her senior season as she is hoping to add a couple more championships to her resume. Apart from basketball, Brittany is looking forward to finishing undergraduate school and enrolling into a master’s program. She plans to go back home to Phoenix and begin a career in youth sports in order to serve families and children who can’t afford the cost of athletics. She understands that some of the best athletes are unable to participate in a club or school athletics because of resources and money. Her goal is to provide programs and leagues that give all children an opportunity to be apart of a sport. Previous articleCould This Be The Next Hit? Fantastic, sports reporting and layout Aaron! You and you staff…Keep up the good work.